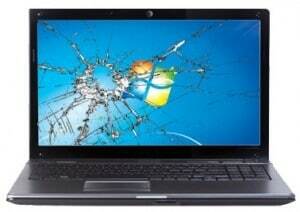 Laptop Screen Repair Hurstville branch offers an express laptop screen LCD and LED replacement service. In as little as 15 minutes, you can have your laptop screen replaced on the spot. Regardless of the problem; whether it is blurriness, colour bleeding, or simply a smashed or blank screen, we can repair it on-site at your home, office or school. We repair all major brands and stock all resolutions. 10", 10.1", 12", 12.1", 12.5", 11.1", 11.5", 11.6", 13" 13.3", 13.4", 14", 14.1", 14.5", 15", 15.4", 15.5", 15.6", 16", 16.4" 17", 17.1", 17.3", 18.4"